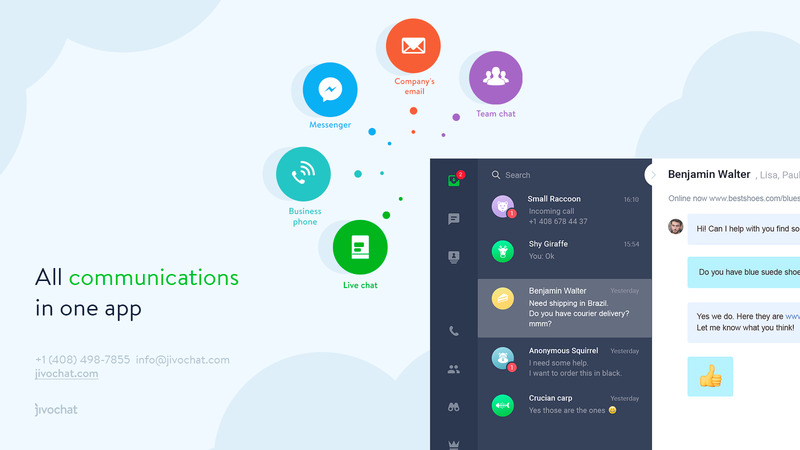 Chats, Emails, Calls & FB in one app! Unlike other live chat apps on Opencart, Jivo is omnichannel. Well, what does that mean? 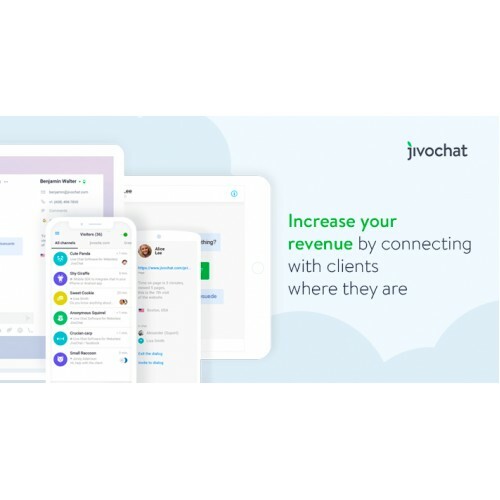 Let me tell you, it means: live chats on your website, chats with clients on Facebook, messages to your company’s email address, and calls to a phone number in any country – all go to one convenient JivoChat app. Talk with new and current visitors to your website with a proactive in-app chat. Continue your conversation on your customers’ favorite social media outlet: Facebook. Get a phone number in 50+ countries or activate any existing number to make outgoing calls with Jivo Business Phone. Use professional features such as call recordings, transfers, routing and more. A unique Instant Callbacks feature encourages your potential customers to call you so that you can close more deals. Redirect emails from your company’s address (like info@yourcompany.com) to the Jivo Inbox – your team will reply faster and no message will ever be missed. 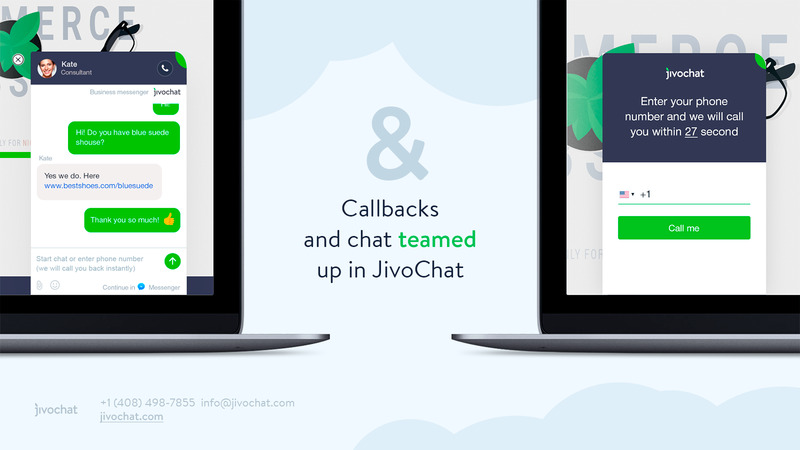 Every month: Jivo empowers 240k websites to engage in over 12 million chats. 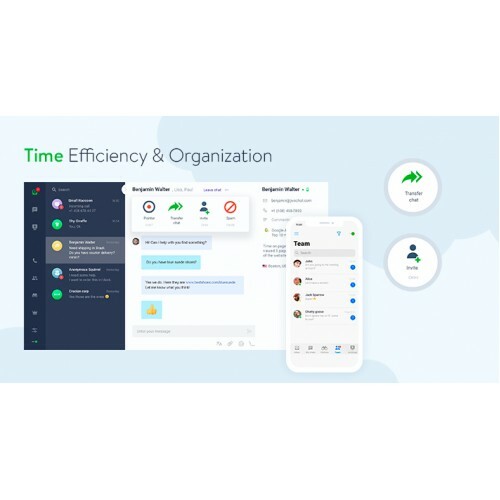 Multi-agent chats: Transfer and invite colleagues to participate in open chats with customers. - Access Facebook: Chat on Facebook easily without needing to log in or open a new tab. 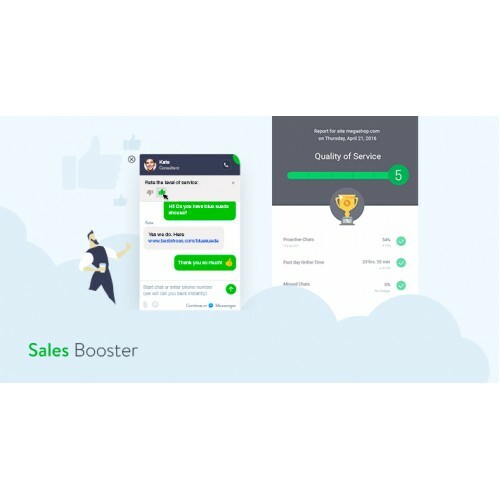 - Visitor Monitoring & Smart Triggers: Track your visitors in real time and proactively initiate chats with them upon conditions you’ve set. 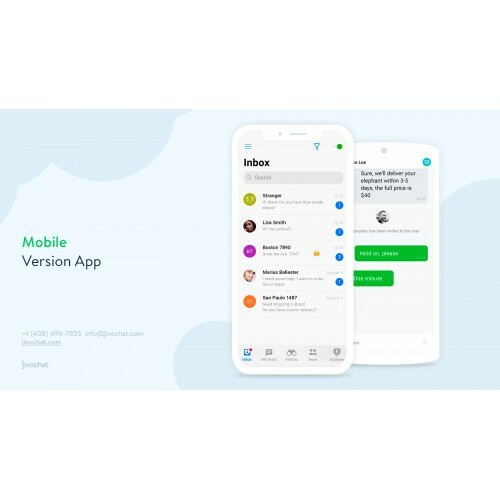 - Automatic Translator: Forget the language barriers, Jivo will translate your chat in both directions instantly and fluently. - Quick Phrases & Canned Responses: Create pre-written messages and send them by using hotkeys, get suggestions from messages you’ve sent before. - Pointer: Highlight specific items on your website for your visitors. 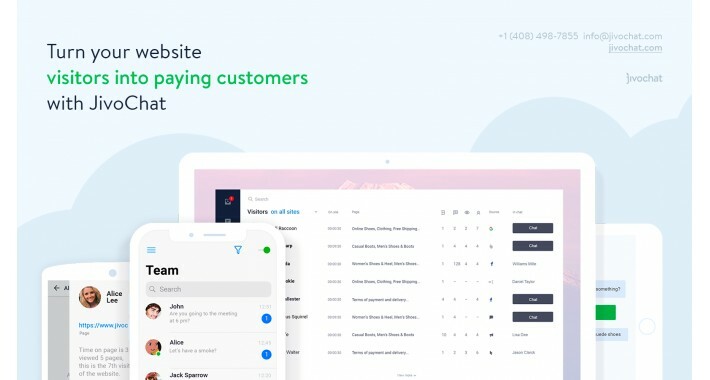 - CRM Integrations, API, Webhooks and Mobile SDK: Connect each tool to our platform and build an amazing support system. - Quick Site Load Time: Don’t worry about your loading time: Jivo scripts are loaded asynchronously. JivoChat comes with a 90-day trial. Try JivoChat for free. No Credit Card, No Commitments!